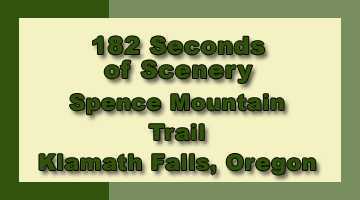 Hiking the Spence Mountain Trail - Klamath Falls, Oregon USA - Explore! 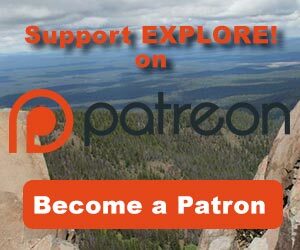 Hiking the Spence Mountain Trail - Klamath Falls, Oregon USA - Explore! 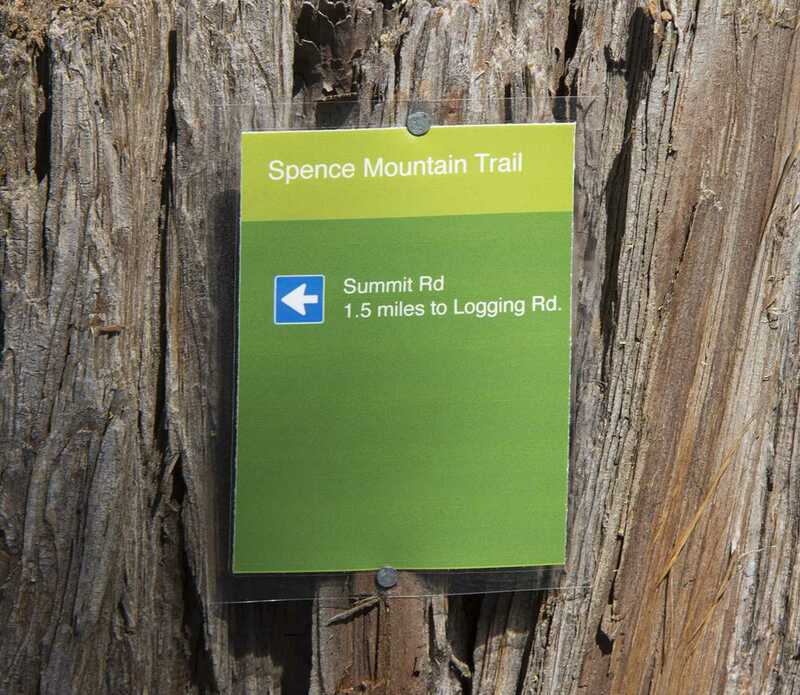 The Spence Mountain Trail is about 15 miles northwest of Klamath Falls, Oregon, on Highway 140. 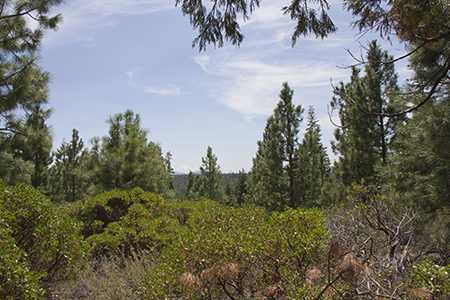 The trail was developed by the Klamath Trails Alliance in cooperation with JWTR LLC (the landowner), Oregon Department of Forestry (for the land at the trailhead), many donors of cash and technical services and numerous volunteers. 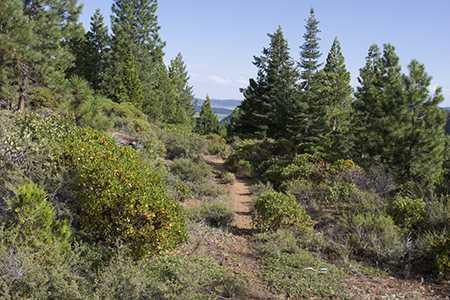 The first segment, from the trailhead up the ridge above Klamath Lake, was completed in 2014. The remainder of the loop along the ridge and back down to the trailhead was completed in 2015. We hiked the trail twice in the summer of 2015. Both times in a counter-clockwise direction as is generally recommended. Officially the trail is 6.4 miles long, but we clocked 7.4 – of course that includes some of our normal exploration off the main trail. 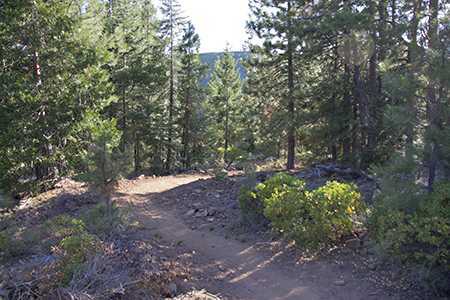 The trail is designed for mountain bikers, hikers, trail runners, cross-country skiing and snowshoeing. To accommodate mountain bikers the trail includes some features that aren’t the greatest for hikers and others that are. 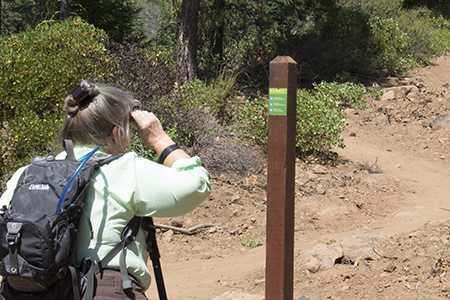 There are several small trail makers along the way so travelers can know where they are and how far it is to the next section. When we hiked the trail, the trailhead was under construction. 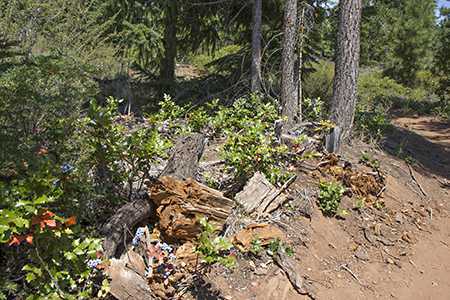 Oregon Department of Forestry had leveled an area for parking and an information sign at the parking area was under construction. There was no signage on Highway 140 to prepare a driver for the turnoff. 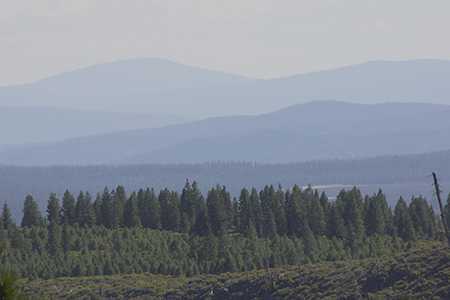 Heading northwest, from Klamath Falls, the highway has an extra climbing lane as it ascends Doak Mountain. The trailhead is on the right shortly before that lane ends. Heading southeast, from Medford, the trailhead is a bit more visible and the start of the extra uphill traffic lane is a clue to prepare to turn left. The trailhead parking lot should be able to accommodate around 20 cars. 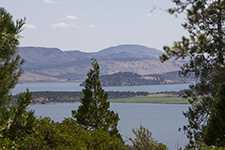 The first segment of the trail zig-zags up a ridge that overlooks Klamath Lake to the southeast. Initially it’s a fairly steep climb, but, being designed for bicycles, it’s not hard on hikers at all. 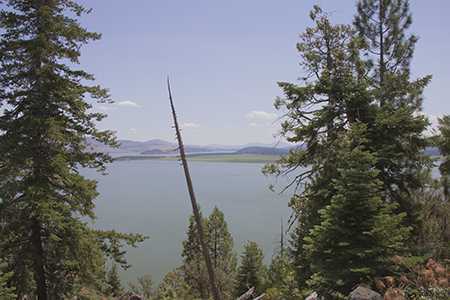 Unfortunately the views across Klamath Lake are limited by the position of the trail and trees. There are a couple points, as you can see on the map below, where you can walk off the trail a short way to get much better views. After the first mile or so, the trail flattens somewhat as it completes the climb up the ridge. The climb is over after a total of about 2.7 miles. This section is single track for bicyclists. 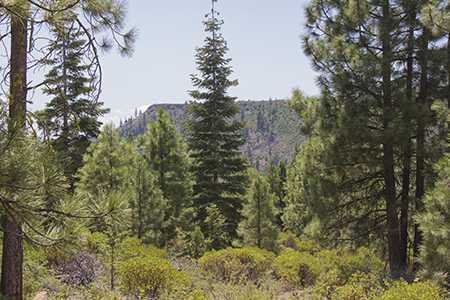 Once reaching the top of the ridge, the trail uses an old logging road that is fairly flat for about 1.5 miles. This is an opportunity for users to hike, bike or ski side-by-side as the road is fairly wide and smooth. This section of the trail has a southwest exposure. 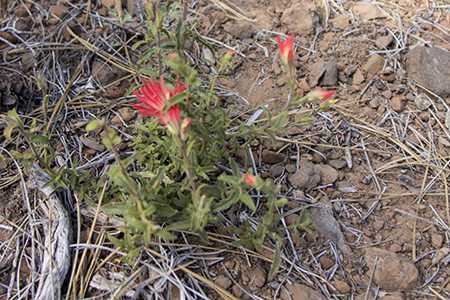 During the summer it gets a lot of sunlight and can be quite hot depending upon the time of day you are hiking. 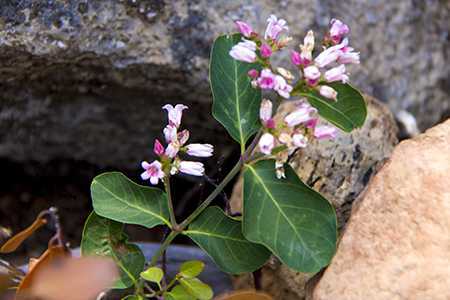 There is no water available along the trail, so bring plenty. 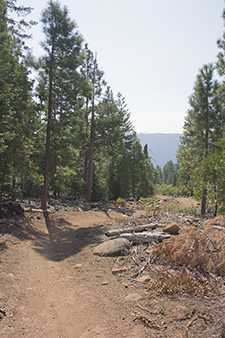 At about the 4.2 mile mark, the trail dives off the road and begins a downhill run back to the trailhead. This whole section is great for mountain bikers. 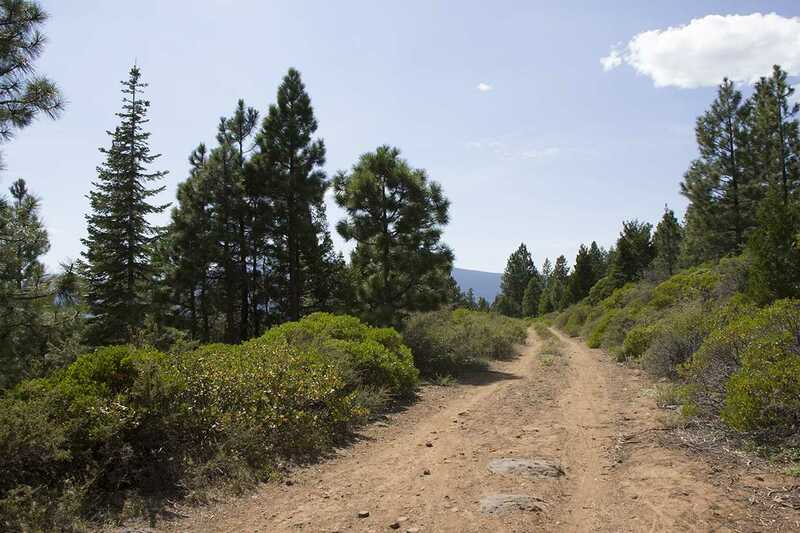 The first part, about 0.3 miles, is on a logging road that is overgrown, limiting the trail to single track again. Hikers will find it easy going. At about the 4.5 mark, the trail gets off the old road and is specially constructed to give bicyclists some joy. The short ups and downs with some jumps and banked curves make it a great bike ride, but a bit strenuous for hikers. 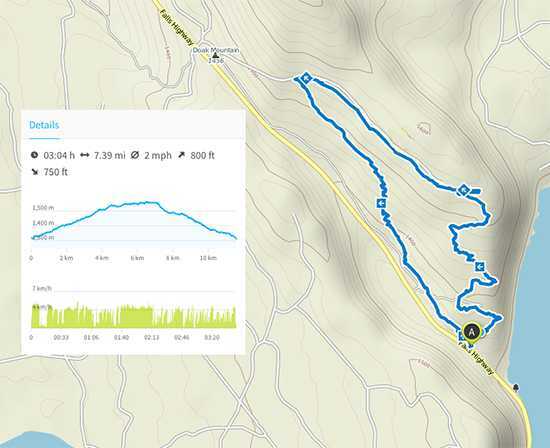 The segment of very short downhill switchbacks that you can see on the map below was the toughest on us. In a couple of places it was necessary to walk off the trail to maintain good footing. These are places where a fast bicyclist would be flying, literally. The days we hiked the trail, there were only a handful of bicyclists using it and they were very courteous, giving us ample time to step out of the way so that they could proceed. We started early in the day and saw a variety of animal tracks in the dusty trail before other users had obliterated them. Most intriguing were deer tracks with some from a larger deer and some from a tiny dear. It wasn’t until we had almost completed the trail on the second trip when we saw a doe with two tiny fawns that quickly vanished up the hill. 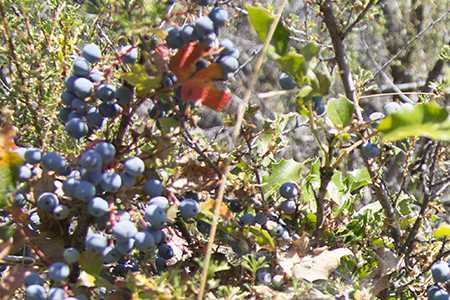 We also spotted a grouse near the top of the ridge and several lizards along the trail. The video offers a quick look at the trail and some of the views from it. 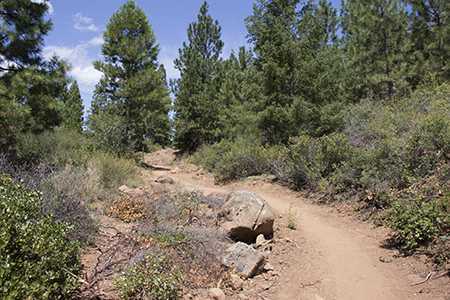 For the most part, the trail is wider than necessary for hikers, but just right for mountain bikers that like to move rapidly down the trail and around the corners. Notice that the trail is quite dry. That’s good, but when it rains, that dust turns to mud and that’s not so nice. 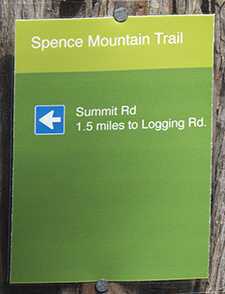 Users are asked to avoid the trail when muddy so that it isn’t damaged. You can find a larger version of the video on YouTube. The text, photography and video were all produced by Jerry Haugen and ©2015 Global Creations LLC, All Rights Reserved. 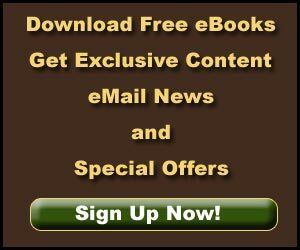 The music on the Video is Follow by Eric Palmer, published by Digital Juice Music, Inc. used under license. Yes, elk are in that area during some times of the year. I’m not surprised you saw some tracks. Enjoy hiking this trail but we go with the knowledge that this is mountain bike country so we pay attention to what might be behind, or in front, of us. 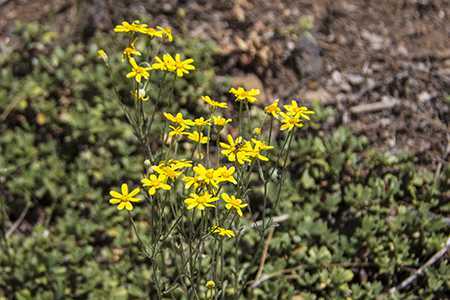 We hiked the latter part of May–lots of flowers still in bloom. You noted possible wildlife, we also came across deer tracks (large/regular) and wondered if elk were present.